Agent’s of S.H.I.E.L.D. was able to maintain it’s captivating momentum again, this week! This week’s episode starts off by showing us that Simmons has apparently joined Hydra as a scientist, and has seemingly betrayed her friends at S.H.I.E.L.D. When Simmons spots a Hydra acquisition document, she notices that Donnie Gill’s picture is within. Gill is the scientist that Simmons saved back at the academy. He later developed enhanced powers, allowing him to freeze things on a mass level. As the episode progresses, we learn that Coulson has actually planted Simmons within Hydra to gain intel, and relay it back to the S.H.I.E.L.D. team. Back at the hydra lab, the higher ups are growing suspicious of Simmons and decide to test her loyalty. The Hydra commanders decide to send Simmons in after Gill to capture him so that Hydra can use him as an asset, to their advantage. Meanwhile, Coulson’s team converges on the same location, in the hopes of capturing gill. Simmons approaches Gill, and is ultimately pursued by him. 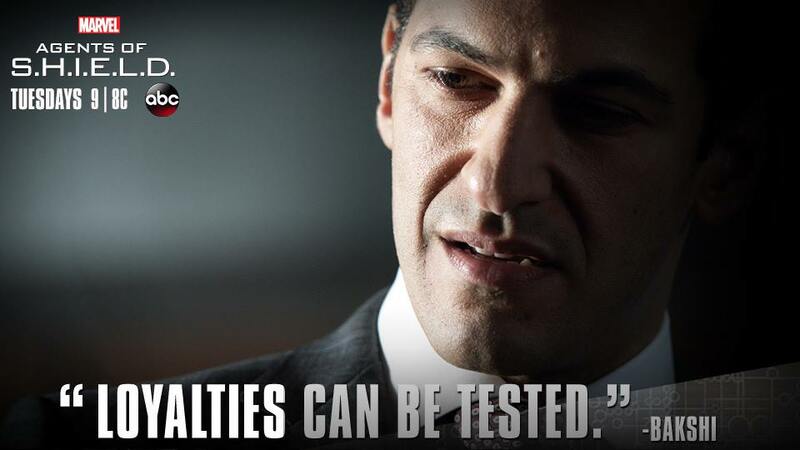 One of the elite Hydra members, Bakshi, steps in. He repeats a phrase to Gill, and triggers him, much like a sleeper agent. It seems that Hydra brainwashed Gill, and used him to takeover the sandbox where he was previously being held. As Simmons, the Hydra team, and Gill prepare for their escape, Skye takes Gill out, and gets her first experience in marking someone off. Meanwhile, in-between this cloud of action Fitz learns that Ward is being held in the base, and confronts him about what happened on the plane, i.e, Ward almost killing he and Simmons. Fitz subjects Ward to depleted oxygen levels in his cell, and nearly kills him. However, Ward survives with little side effects, and Fitz gets some mild revenge. 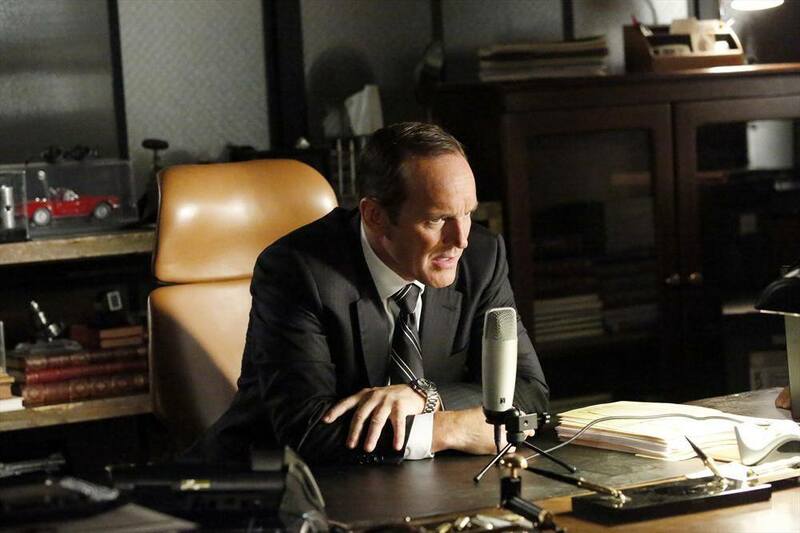 Throughout this episode Coulson and Hydra are doing their best to recruit the best individuals that they can find. Hydra is able to snag a top tier S.H.I.E.L.D. agent, and ultimately are able to brainwash her. She is now able to provide them with vital information, regarding S.H.I.E.L.D. Simmons is still maintaining her cover with Hydra, and can now, hopefully, help defeat them once and for all. Tonight’s episode was filled with action, plot twists, and drama galore. S.H.I.E.L.D. continues to grasp my attention every week, as it has done since season 1. The episodes seem to become more and more intricate, and interesting subplots are continually being revealed. Ward finally let’s Skye know that her father is alive, and he can take her to him. I’m not really sure what is going on with this conflict, but there is something going on there, that will probably change the show entirely. With Robert Downy Jr. wanting to do a cameo, and endless crossover possibilities, I feel that S.H.I.E.L.D. isn’t leaving us anytime soon.